The meet began on a tasty note… No pun intended. The meeting began with lunch! As we om nom nomed our ways into the ballroom area of the Leela, Mumbai… we had a rocking AV that welcomed us and took us through Indiblogger’s journey through the past 6 years. With the mood set and the bloggers warmed up, the meet began! Someone’s headstart is another one’s headache! There was an overnight tweet and blog contest that I missed because I was cluelessly snoring away and didn’t check my mail. These peeps at indiblogger surely know how to mix ’em up! With experiences shared and the prizes won, me and my friend Sumyth were caught holding our respective heads in confusion! The winning tweets from Mumbai & Delhi were showcased to us and given prizes. And with the background stories behind each of the tweets, it’s safe to say the prizes were well deserved! I’m bad with names, but there was this one pic where these people (from India) clicked with a few Indonesian students in Malaysia! OR something like that. Like I said I’m bad with names and people (sigh). The next session was rightfully mentioned in the agenda as ‘Indimayhem’. It was a via-video-conference debate between Mumbaikars & Delhi-ites… with questions ranging between ‘which city has better transport, street food?’ to stuff like which city has the best-looking boys *coughs* Mumbai *coughs*. The questions seem pretty simple, right? What would your reaction be if the answers included japanese paranthas (I’m as clueless as you) from crawford market and Narendra Modi being called the hottest man in the world, ‘who now resides in Delhi making Delhi hotter’ (I’m not even exaggerating, these were the exact words of an overly enthusiastic girl from Delhi.) A special mention to the Delhi-dude who orated a primary school essay on the ‘types of weathers’ in Delhi, and how that made it better than Mumbai- the city with the exact same ‘amount of weathers’. I feel dumber as I completed that sentence. Jeez. As the debate was brought to an end… (clearly won by us Mumbaikars I’d like to add. :P ) Anoop, the host in Mumbai made the statement of the day, by saying it’s easy to find differences between two sets of people… But finding similarities and connecting is not so simple. Straight out of a ‘Thehro…Sorry Shaktimaan’ moment. Okay, jokes apart, it was an ‘aha’ moment in the crowd! 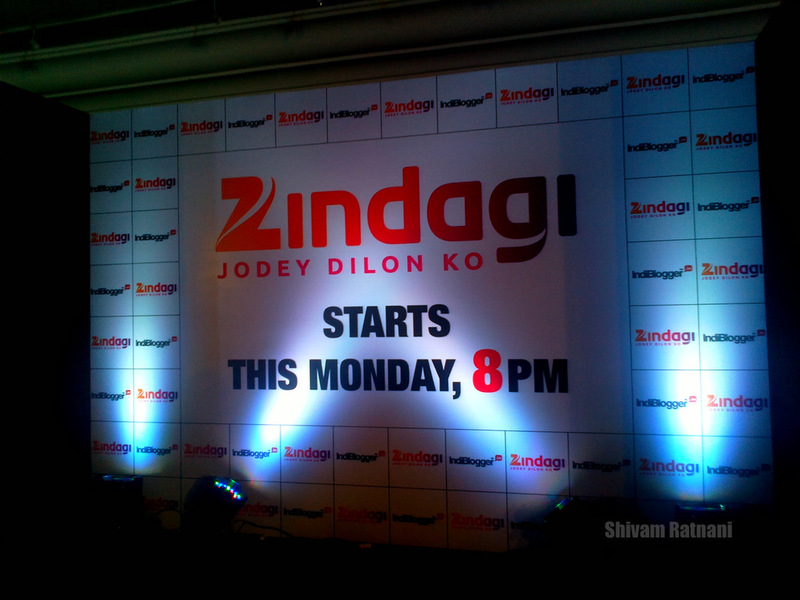 Enter Zindagi, a new channel launched with an aim to connect cultures across borders. In case you don’t know what I’m talking about, the country on the other side of the border that they’re trying to connect, is Pakistan. So this channel will be telecasting content conceptualised and made in Pakistan, but will be telecasted in India. Now as bold as this concept sounds, considering the political mentality of our country, to go forward with it is a different ball game altogether. Worthy of a few kudos, atleast! Post the AV with the medley of the upcoming shows on the channel.. a few members of the audience, came out of the proverbial closet and ‘confessed’ about their liking towards Pakistani content. I’m not saying that’s a bad thing, the people expressed it that way. It just makes you think how afraid people are to associate even their thoughts with out neighbouring country. A Pakistani sensation, Imran Abbas Naqvi, swept the ladies of their respective feet, as he entered the room. He’s going to be featured on one of the shows on the channel. Yet, what managed to make my head turn was him confessing that he turned down Aashique 2 and it’s one of his biggest regret. Wonder how that would’ve turned out for him had he said yes! As me and my friend envied his command of the Hindi-Urdu dialect… he answered all of the audience’s questions and doubts with wit and wisdom. Yes I know the things above were too much info to take on. It was for us too, so we got a tea break. And I’ll let you’ll have one too, with something completely unrelated. Did you know the temporary slashed rates of the newborn Mumbai Metro have turned Versova into an amusement park? 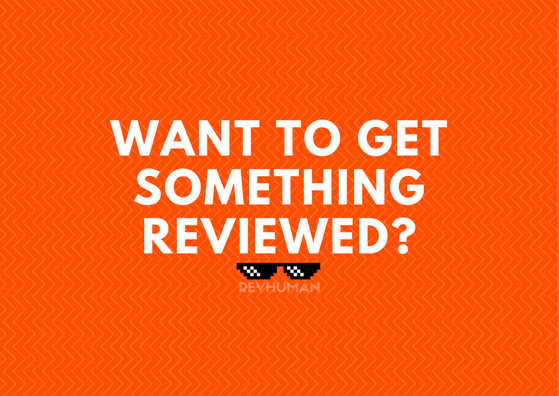 We had our pick a number between 1-10 contest, which has (just like me) become a regular in indiblogger meets lately. And every time, there are a couple of duds in the contest, which means the people who select a particular number get a prize that everybody but them find funny. This comes from last year’s Banana winner (Me). I’m the one with contempt on my face. The last digit winner was a few steps away from being me (you had to be there to get the reference). Yes, I was disappointed. Disheartened. Questioned my existence. The agenda moved on and a senior person came on to the stage discussing theatre across borders. I don’t know who he was for I lost my concentration and was zoned out during his announcement and entrance. Yes, that’s what defeat does to you. But he spoke to all of us and shared comparisons between creative works in India & Pakistan. Fateh Ali Khan, Atif Aslam, Adnan Sami… (the list keeps refreshing with time!) So we all can agree that there’s no dearth of talent in the country. Next Next post: This blog-post stinks!